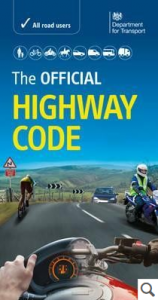 The Highway Code is being updated on a regular basis so it’s often difficult to ensure that you have the latest version. Use the link below to check on any questions that you have regarding Road Use. This is a fantastic always available resource for Associates and Full Members alike. Axe T-junctions in favour of mini roundabouts “so elderly can keep on driving”. This is the call from the Older Driving Task Force. T-junctions should be replaced by mini-roundabouts to make roads safer for older drivers, a report claims. Ministers were told roads should be redesigned so they are more accessible for the country’s ageing population. The Older Drivers Task Force called for T-junctions to be scrapped, as figures show over-75s are twice as likely to be killed than the average motorist while negotiating them. Instead, it said mini-roundabouts should be installed, making it easier for pensioners to pull out into traffic. The Older Drivers Task Force called for T-junctions to be scrapped, as figures show over-75s are twice as likely to be killed than the average motorist while negotiating them. 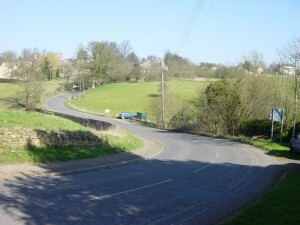 The report said: “Given that the percentage of serious accidents at T-junctions increases significantly with age after 65, and that this does not happen at roundabouts, it would be worth studying the value of installing mini roundabouts at busy T-junctions with little or no change to the kerb lines”. The Government backed report also called for the greater use of segregated slip roads on motorways and A roads, which would lead into a proper lane. The change would mean older drivers no longer having to look over their shoulder when joining busy roads. Other pensioner-friendly ideas included wider white lines in the middle of the road, more traffic lights at crossroad junctions, reflective backing on signs to make them more visible and larger lettering on road markings. Experts warned that large numbers of pensioners were being put off driving by roads designed for ‘use by fit, middle-aged motorists’, which risked leaving them isolated because they could no longer visit family or friends. The report, seen by The Times newspaper, said that 4.7 million Britons aged 70 or over had a valid driving licence in 2014 – but that this was expected to rise to 8.5 million over the next 20 years. Andrew Jones, the roads minister, said the report ‘calls for action from a number of sectors, including government, and we will consider the recommendations carefully’. The task force, which was created by the Road Safety Foundation and the insurer Ageas, with support from the government, also called for drivers to be given eye tests from the age of 60. But it said that motorists should not be forced to renew their licence until they are 75. Currently this has to be done aged 70, a rule that has been unchanged for 50 years. John Plowman, chairman of the task force, said: ‘People are living longer, healthier, more active lives, and driving longer. “The number of drivers over 85 will double to one million by 2025, many without access to public transport. This influx of older drivers has important economic and social value but it also presents road safety risks if we don’t adapt. Getting to grips with these risks, without limiting the independence and freedoms of the elderly is an important policy challenge”. Prior to the release of the report, he told The Daily Telegraph: “We want older drivers to stay driving for as long as possible, we don’t want to put them off. The key point is that we are living longer and they are healthier. If you tell them to think about driving assessments they may well just give up driving which puts them at risk. They lose the social contacts that they had, they are more likely to get depressed and isolated and put a greater burden on the care system. Older drivers are generally safer than others. [They] do appear quite high in the fatalities list because they are more fragile, but that is not because they are at fault”. Driving through busy urban roads needn’t be stressful this summer. Forward planning is key, if you know of any roadwork’s taking place it of course makes sense to avoid driving through them. And if you’re travelling through an unfamiliar city use Google maps or Street View to get a sense of your journey beforehand. Be on alert for any motorists driving and riding erratically, they may be unfamiliar with the area and change lanes unexpectedly. Slow down and keep a safe distance to avoid any accidents. 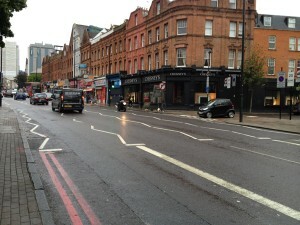 Look out for lanes that are closed to cars, such as cycle lanes, one-way streets and bus lanes. Make sure you’re aware of when bus lanes operate too, you don’t want to end up paying a heavy fine. If you have occidentally missed a turning or an exit, don’t panic, continue with your journey until you find somewhere suitable when you can turn back on yourself. Driving on rural roads can be quite a challenge. Tight bends, unexpected wildlife and narrow lanes complicate matters, but if you get it right these roads can be the most fun too. Planning ahead is the key, expect the unexpected. 1. Look as far ahead as possible to see what direction the road is taking, hedge lines, telegraph poles or lamp posts all give clues on twists and turns ahead, always be prepared for something you can’t see round the bend, a group of cyclists or a horse, for instance. 2. Wet roads can seriously effect car control. Keep an eye out for wet leaves or standing water on the road; as well as being slippery they can hide a multitude of hazards. 3. Be mindful of any animals that may also use the road and look out for the warning signs. Horses in particular can be easily startled, so when approaching reduce your speed and give them plenty of room, pass wide and slow when it is safe. (The British Horse Society offers more advice here: http://www.bhs.org.uk/safety-and-accidents/dead-slow). 4. Keep an eye out for agricultural vehicles on the road too, they probably can’t go as fast as you want to, so try and be patient. On a single carriageway road only overtake where there is plenty of room to do so and where there is no oncoming traffic, remember, any break in the hedge line is a potential junction for a tractor, if in doubt hold back. 5. If you’re driving behind a bus or school coach, keep a look out for passengers that start to move around inside. This is usually an indication of passengers getting off at the next bus stop, be prepared to slow down for children crossing the road in front of or behind the bus. 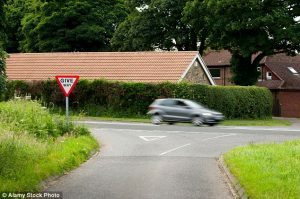 Most country lanes will have a speed limit of 60mph, but this doesn’t make it a target speed, you should be able to stop in the distance you can see to be clear on your own side of the road. On a single track road you may need to stop in half of that distance to allow for oncoming traffic, if you can’t see slowdown. There are so many potential distractions in this environment, but nothing beats a country road through beautiful scenery on a nice day. Take your time, plan ahead and enjoy the journey. Spring has now officially arrived and like us, our cars need to shake off the Winter to be fit for the Summer ahead. 1. If you haven’t given your car a full Spring clean yet now is a good time to wash off all the grime and road salt. Use a pressure washer to clean the underside with particular attention around the wheel arches but take care with delicate areas and don’t spray directly onto oil seals or rubber areas and be extra careful if your car is fitted with external collision sensors, parking sensors or infra-red detectors. If in doubt take advantage of the many professional cleaning services that are available, many at your vehicle dealership. 2. Give your windows a good clean, on the inside too – dirty windows are more prone to misting up. Simply use washing up liquid in water to get them squeaky clean or if you are old school use water and vinegar, a ratio of ten parts water to one part vinegar is very effective. 3. If you’ve been using Winter tyres replace them now with your Summer tyres. Check the tyres thoroughly for damage and check the pressures before setting off. 4. Ensure your wiper blades are in full working order after a Winter of hard use and test all of your lights. Change any blades that do not clear the rain or moisture fully. Ensure that you check the rear window wiper if fitted. 5. Spring may well bring on hay fever so use the air conditioning and re-circulation settings on your ventilation system to help reduce the effects. If you haven’t had it checked for a while it may be worth paying for an air conditioning service for your car, this will recharge the refrigerant within the system as well as changing the air filters. Another thing that many overlook when the temperatures aren’t in the high twenties is to make sure you keep a pair of sunglasses with you – the sun tends to be very low at this time of year and these will come in handy when dealing with glare in the early morning and evening. In this low level light, dirt and grime on the windscreen and mirrors can be even more distracting– keep them clean, a handy cloth should be used on the windscreen and rear window every day; you need the greatest possible visibility at all times. Drive safely on urban roads and minimise the risk of a road incident. 1.Changes in the weather will obviously impact on road surfaces, so your driving should reflect this. For example on wet roads, you should increase your stopping distance, and keep an eye on any pedestrians – splashing someone when driving is an offence. 2. If you’re driving behind a bus or school coach increase your stopping distance to allow for passengers getting off. In busy conditions avoid overtaking as there may be people crossing in front or behind the bus. 3. Delivery vans may stop and park in tight spots so make sure you give them a wide berth – you never know when someone might suddenly get out in front of the vehicle without looking. 4. At light-controlled crossings avoid moving forwards on the flashing amber or green signals – wait until all pedestrians have cleared it. Many accidents occur near junctions and road crossings so make sure you keep your eyes peeled at all times – look out for elderly pedestrians and anyone wearing headphones or using their mobile phones who may be distracted or not looking for vehicles. So long as you drive at a steady speed and be mindful of everything around you, your journey will be a smooth and safe one. Pedestrians glued to smartphones or listening to music are putting their own and other road users’ lives at risk, according to motoring organisations. The danger was highlighted in a poll for the AA, which found nearly three quarters (72%) of motorists ‘often’ see gadget-obsessed pedestrians walking off the pavement without looking. AA patrols themselves have reported an increase in the number of ‘zombie pedestrians’ and joggers oblivious to traffic around them as they cross busy roads. The problem is becoming so acute that they have been dubbed ‘smombies’ – or smartphone zombies’. The AA fears this trend will create a spike in the number of deaths and serious injuries on the roads – with official Government figures showing that 446 pedestrian deaths in 2014 were down to ‘lack of attention’. The statistics show a 12% rise on 2013, when there were 398 pedestrians killed. A Populus poll of 24,070 AA members found some 72% of drivers often see pedestrians step into the road when distracted on a phone or texting, meanwhile, 66% say they often see pedestrians wearing headphones step into the road. And nearly 78% of young drivers say they often see pedestrians step into the road whilst distracted by their phones. ‘Zombie’ pedestrian phone distraction is most likely in London (80%) and least likely in Eastern England (67%), South West (68%) and Wales (69%), the AA found. The AA report notes: ‘It is thought that pedestrians’ lack of attention may be a factor in some of the 446 pedestrian deaths in 2014. Analysis from AA Insurance also shows that pedestrian ‘inattention’ could be the cause of 17 collisions each day. Government figures show that pedestrians accounted for three quarters of the increase in fatalities in Great Britain between 2013 and 2014. Pedestrian fatalities increased by 12% from 398 in 2013 to 446 in 2014. It has become so concerning that the Belgian authorities in Antwerp have introduces ‘text walking lanes’ for those using mobile phones. And some parks in San Francisco have been designated phone-free areas. 1. Give your car windows a good clean, including the section beneath the windscreen wipers. Dust, tar, tree sap and grime build up fast, particularly at this time of year. 2. Keep your windscreen washer topped up with screen wash to rinse off any debris while you are driving – dirty windows tend to mist up quickly, making it more difficult to see. 3. Remember to switch on your dipped headlights and don’t rely on them switching on automatically. If visibility is less than 100 metres, switch on your fog lights, but turn them off once visibility improves. 4. Always drive so you can stop on your own side of the road and within the distance you can see to be clear. Patches of fog will not always be of the same density and may get thicker again – be prepared to slow down. 5. At junctions stop and listen to get as much extra information as possible about oncoming vehicles, but remember that thick fog can deaden sound and make judging speed even more difficult. 6. A combination of fog and darkness can make it extremely difficult to see. Keep an eye out for vulnerable road users including pedestrians and cyclists, particularly on side roads and other areas of poor visibility. Mark said: “If you experience a breakdown when visibility is poor and you’re on the hard-shoulder or a side road, make sure you and your car are always as obvious as possible to other road users. Keep the dipped headlights switched on and wear a high-visibility jacket to help other vehicles spot you while you wait for help. If weather conditions are extremely bad simply avoid starting your journey at all. 1. Lots of cars now have dashboard warning lights to let you know of a bulb failure, however, you should still check your lights manually on a regular basis. If any bulbs need replacing, change them beforehand to reduce the risk of any road incidents taking place. 2. Use your full beam lights only when you’re driving on an unlit road and where there is no vehicle in sight ahead of you. However, remember to switch back to your dipped headlights to avoid dazzling other road users, including pedestrians and cyclists. 3. 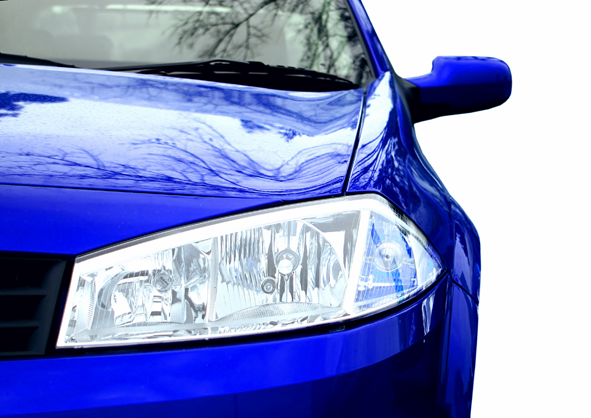 Dipped headlights can be used during any time of the day and should be switched on in poor weather conditions. Don’t rely on daytime running lights as the rear lights will not switch on with them – they are not sufficient in reduced visibility conditions. 4. If you cannot see beyond 100 metres switch on your fog lights. It’s illegal to drive with fog lights on in clear visibility so don’t forget to turn them off. 5. Hazard warning lights may be used when your vehicle is stationary to warn that it is temporarily obstructing traffic. However, don’t use them while you’re driving or being towed unless you are on a motorway or unrestricted dual carriageway and you need to warn drivers behind you of a hazard. It is so important to make sure you can see and be seen at all times, so keep all lights working correctly and use them when you need to. 1. Make sure you have cleared your windows and side mirrors before starting your journey and use the heater settings to remove mist and condensation. Avoid using hot water to pour over your windscreen as it’s more than likely that it will freeze up again. Never apply heat to a door lock as most modern locks now have plastic components. 2. Keep an eye on your tyres. The legal minimum tread depth should be at 1.6mm – but for safe travel you should not let the depth go below 3mm. Whatever you do, avoid travelling with worn tyres at all costs as this will increase the likelihood of your car skidding. If you can afford them, winter tyres do offer a real grip advantage. 3. If you’re driving a manual vehicle, avoid using high revs and set off gently in second gear. This will improve control and reduce the risk of wheel spin. If you’re driving an automatic vehicle, select the ‘winter’ mode, (if there is one), which will automatically lock out first gear and reduce the risk of wheel spin – if unsure, refer to your handbook for more advice. 4. If your car loses grip you should take your foot off the accelerator and point the front wheels in the direction you want them to go. All steering and braking inputs must be as gentle as possible in icy conditions. Front-wheel-drive vehicles are generally better in icy conditions, but if your car is a rear-wheel-drive always take it extra slow and steady when changing direction. 5. Increase the distance between you and the vehicle in front, especially in slippery conditions. The same applies for when you’re approaching a junction or a sharp bend – drive at a steady speed that allows you to stop well within the available distance.